Me and the very charming Mr. Bittman after the Powell's event. I've been very lucky lately. 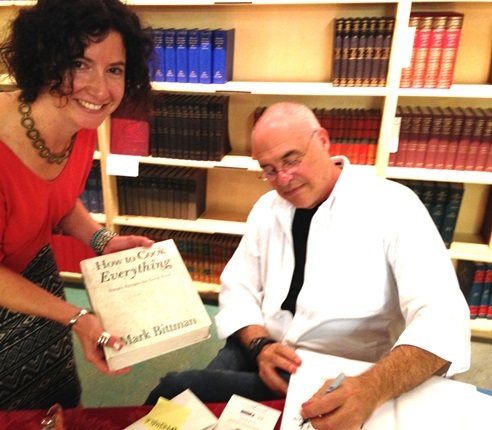 So lucky, in fact, that I recently got to be "in conversation" with two of my food heroes at my favorite bookseller -- Mark Bittman AND Dana Cowin at Powell's Books. Dream come true. They both have new cookbooks out and we talked all about their books and then some in front of very happy audiences -- Dana's Mastering My Mistakes in the Kitchen and Mark's How to Cook Everything Fast. I've cooked from them both already and love them so much. Get 'em! 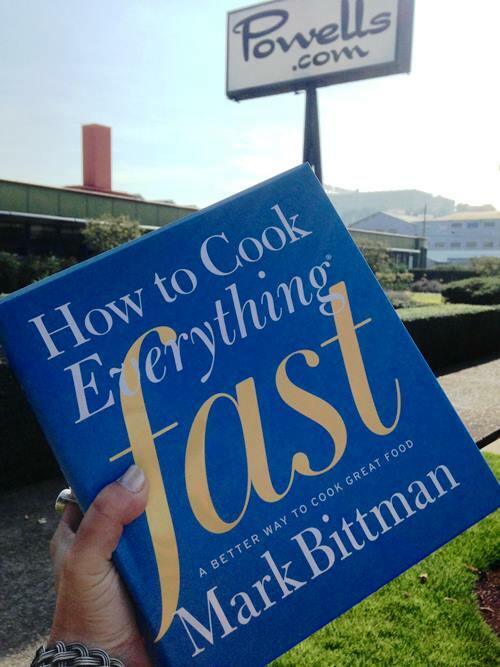 I may or may not have called Mark Bittman a prostitute (tune in to the audio recording below at 12 minutes 30 seconds) and I may or may not have called Dana Cowin a lush (ditto at 7 minutes). 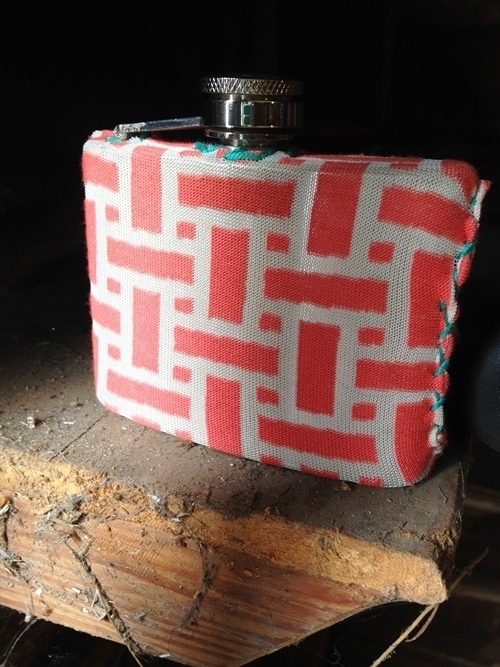 We drank rye from lucky flasks that my friend Loly made at both events and laughed a lot. Intimate, engaging, inspiring and a wee bit revealing -- as all great book events should be. For those who couldn't make one or both I embedded the audio here so you can get an earful. I forgot to start recording Mark's until 10 minutes in unfortunately. And here are some local media bits for both events: Oregonian Cowin, KATU Cowin, Oregonian Bittman, KATU Bittman. Below is a show and tell of photos from both October Powell's events starting with Mark Bittman's followed by Dana Cowin's. Dream a little dream. There aren't any photos from the meals I got to have with Mark or Dana while they were in town but we managed to go to Tasty n Sons, Olympic Provisions and Du Kuh Bee. Not too shabby. Picking up my advanced copy of Bittman's book from the Wonkaland of books -- Powell's. Bittman's and my view. Cute crowd. Mark signing my books after he'd signed everyone's in the loooooong line after our conversation -- including my filthy aka well-loved copy of How to Cook Everything. Gifted flour sack towels can be turned into skirts! 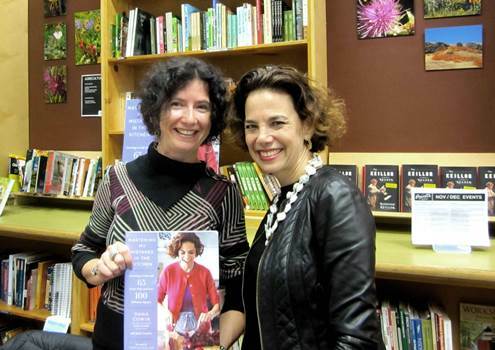 Getting cozy with my advance copy of Dana Cowin's Mastering My Mistakes in the Kitchen before the Powell's event. Day of the event lucky hot dog flask shed pick-up! This one is now MINE. Thank you Loly! Dana and I telling Lena to lay off our lucky flask. Bulleit Rye. Again. We obviously got our flask back. After Dana talked with folks and signed allllll the audience copies Renee from Powell's asked her to sign a bunch of store copies. Finger cramps! Yet another sight for sore eyes. Thank you so very much Mark, Dana & Powell's! I am the luckiest.